Single Player, Xbox LIVE Multiplayer 2-5, Local Multiplayer 1-4, HD (High Definition). 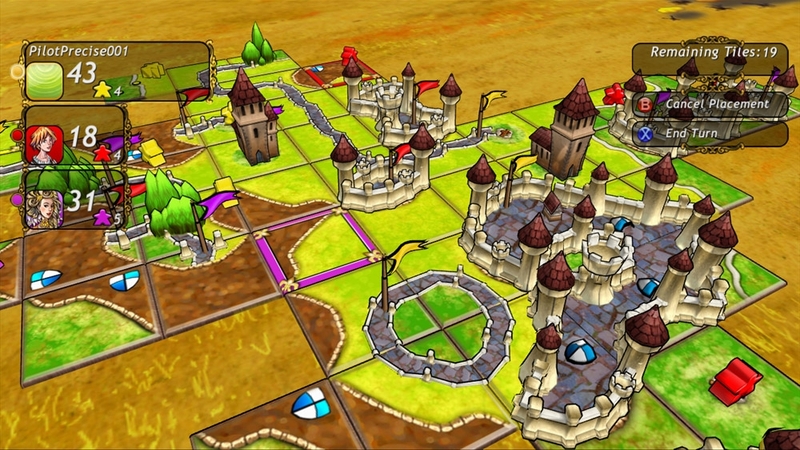 Buy Carcassonne today and become a master of medieval strategy. 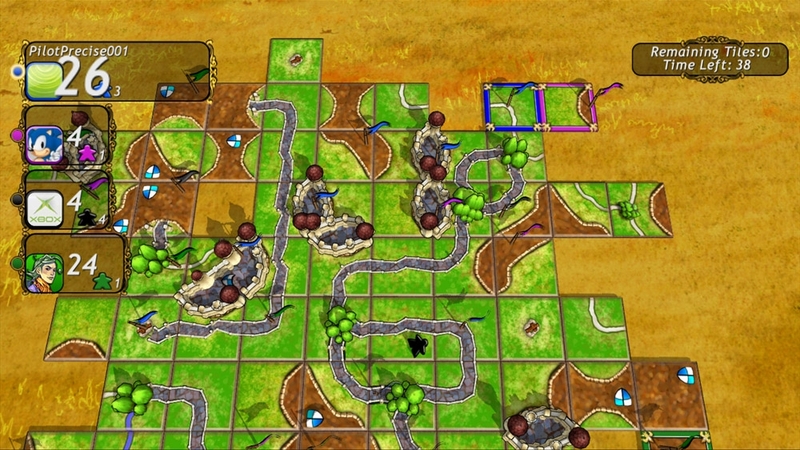 Own a fully featured version of the board game classic and fulfill the need for challenge any time you want, or play socially, with up to five players on Xbox LIVE, or up to four players on just one Xbox 360. 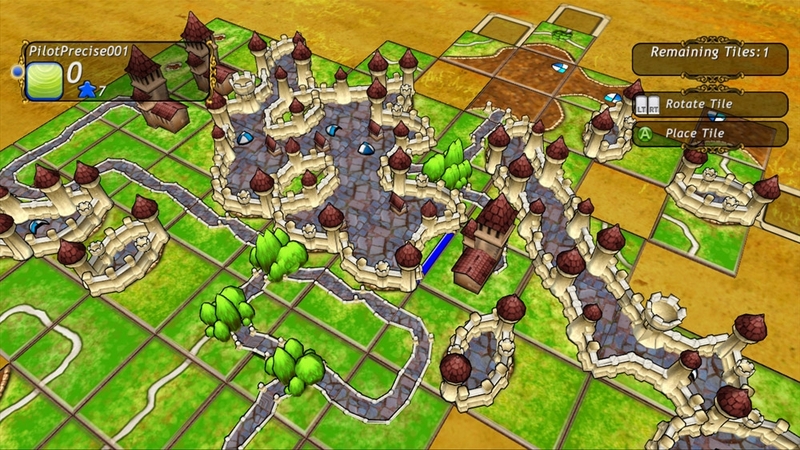 Multiple levels of difficulty offer a challenging experience for players of all ages and levels of experience. There are no refunds for this item. For more information, see www.xbox.com/Live/accounts. 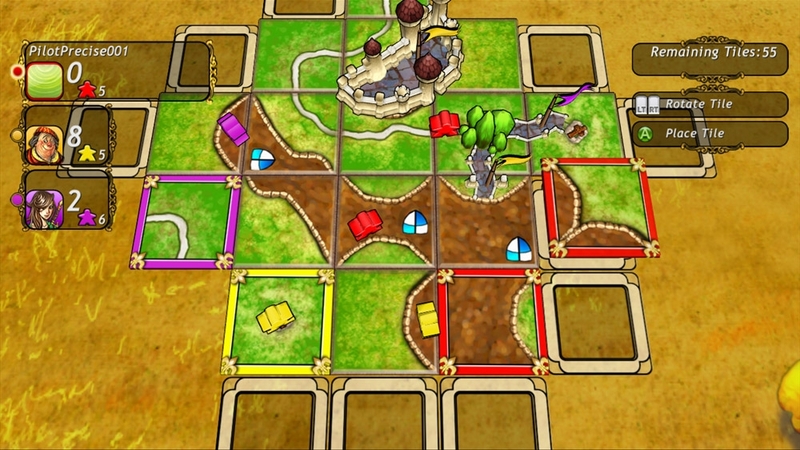 This will add 7 new tiles to the original game including a king and a robber tile that is earned in the game. 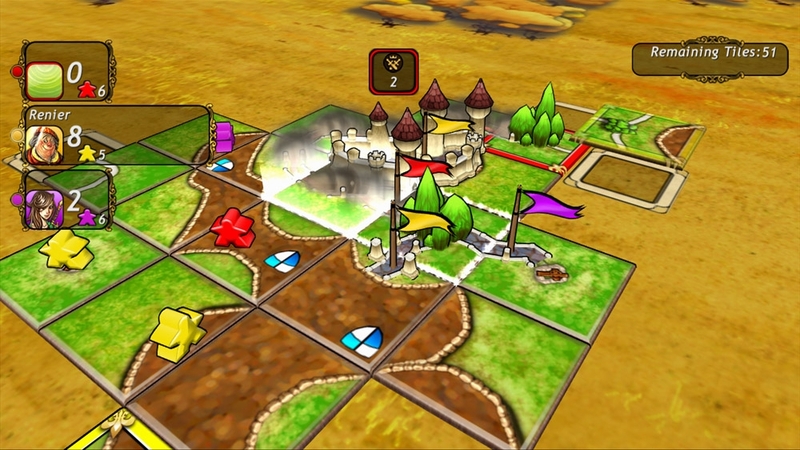 Thus adding a new level of strategy not seen before in the original game or expansion packs. There are no refunds for this item. For more information, see www.xbox.com/live/accounts. This will add 12 new river tiles to the original game. There are no refunds for this item. For more information, see www.xbox.com/live/accounts. 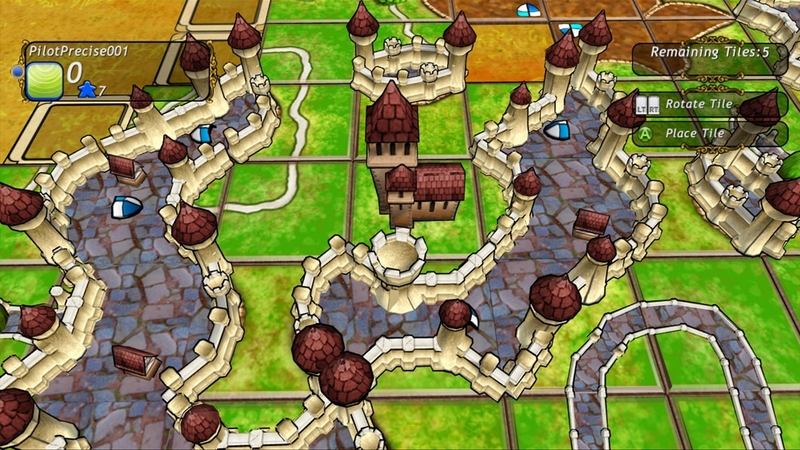 Download this exclusive Picture Pack from the award winning game Carcassonne. There are no refunds for this item. For more information, see www.xbox.com/live/accounts. Single Player, Xbox LIVE Multiplayer 2-5, Local Multiplayer 1-4, HD (High Definition). 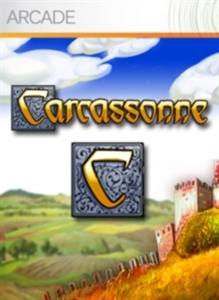 Try Carcassonne today and enjoy the intricacies of one of the great classic board games. 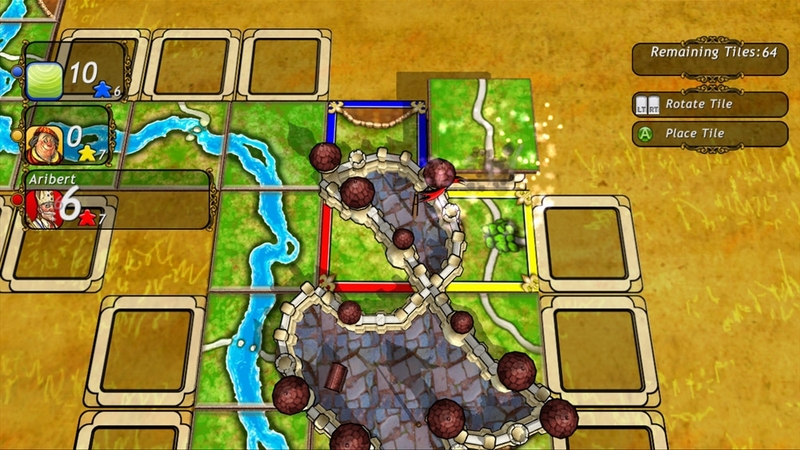 Test your strategic mettle by shrewd placement of your tiles to complete and claim towns, roads, and farms, and to defy your opponents’ efforts to do the same. 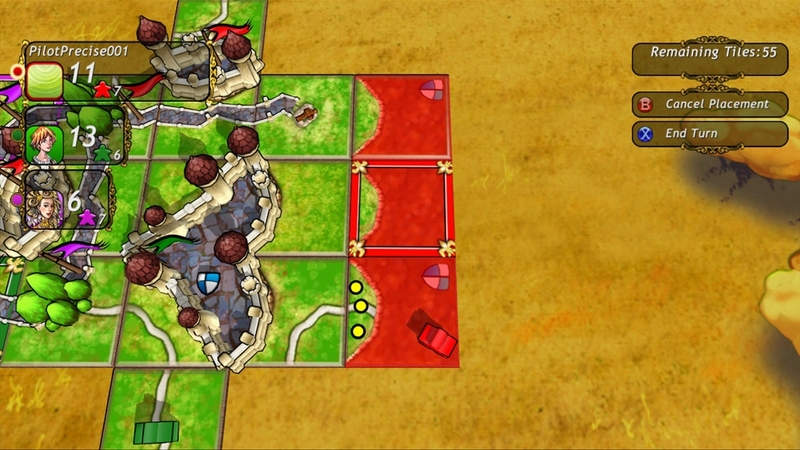 Download the free trial and play a true classic of medieval strategy.